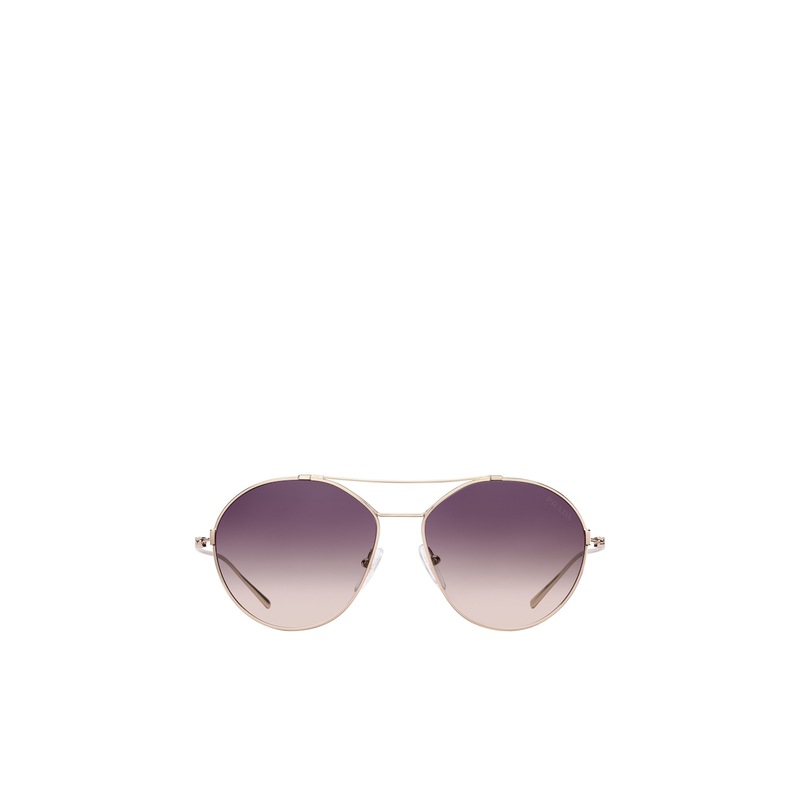 Sophisticated sunglasses with an irregular silhouette. 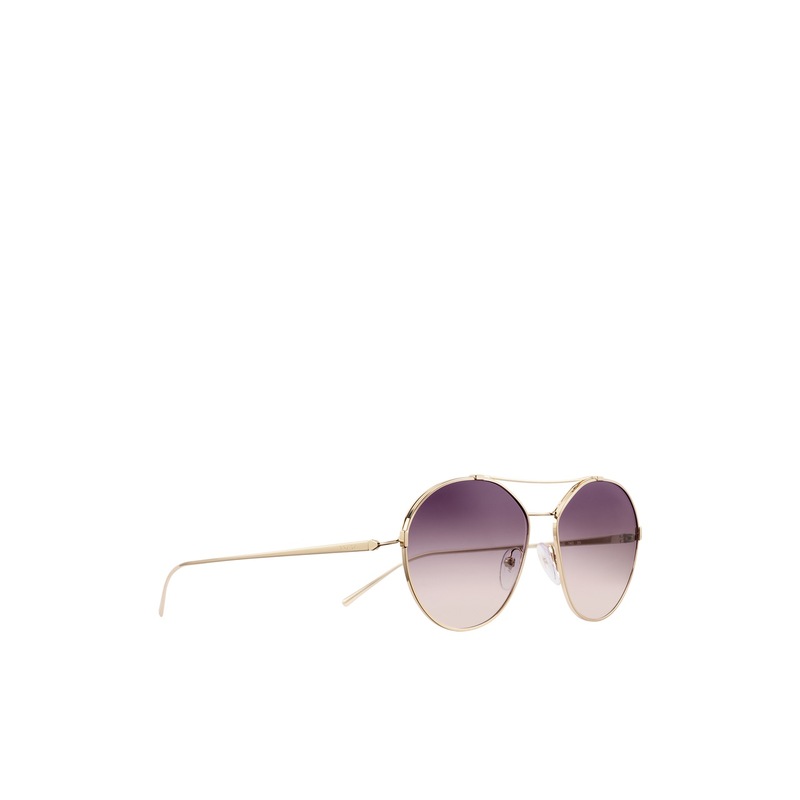 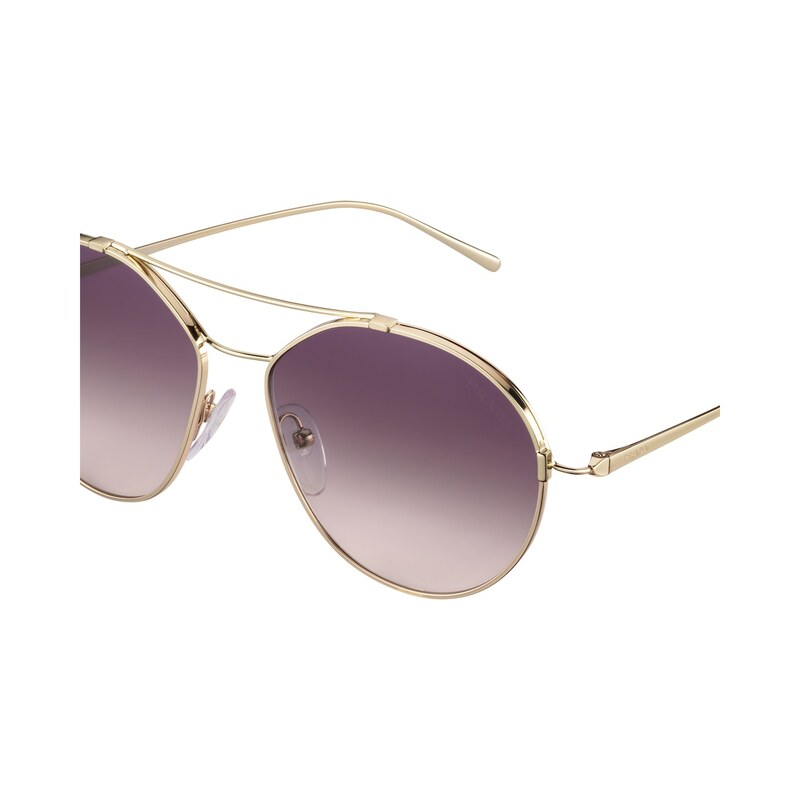 Oversized metal-trimmed frame front with feminine curved double bridge. 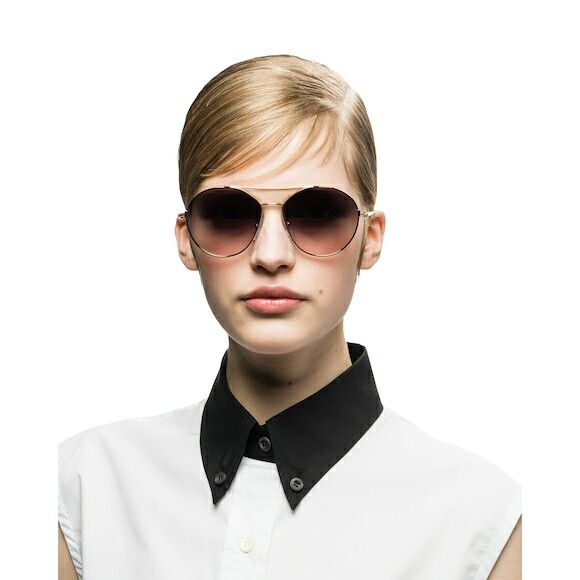 Slim temples delicately engraved with the Prada lettering logo.